Even though this popular event is based out of Seattle, many of us grew up in anticipation of this holiday race. It’s truly an enjoyable event that’s not necessarily based on how fast you can run, but how much fun you can have while participating! 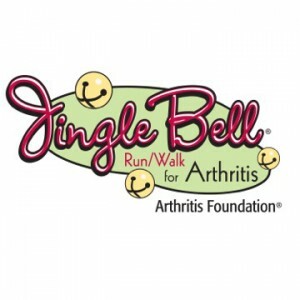 This year’s goal is to raise $755,800 for the Arthritis Foundation. The goal is to raise funds to find a cure for arthritis, the nation’s leading cause of disability. It’s a wonderful way to kick off the holidays by helping others. Yes, this event has been named as one of the “Most Incredible Themed Races” in the United States. Event activities begin bright and early on December 13 at Westlake Center in Seattle. Be sure to arrive by 7 a.m. to experience a special appearance by Santa to welcome all the participants. Wear a holiday-themed costume (reindeer antlers, anyone? ), and most importantly, tie jingle bells to your shoelaces for added holiday merrymaking. Prepare to run or walk a 5-kilometer route with your team members and celebrate the season by giving.